The U.S. Commerce Department issued revised figures for the first quarter of 2011. It had earlier reported an annual rate of anemic GDP growth of 1.9 percent for Q1. Even if that number had been accurate, it was insufficient to reverse the catastrophic rate of unemployment and underemployment in the United States. The revised numbers are now in; the Commerce Department now says that actual GDP growth in the first quarter of 2011 was a virtually non-existent 0.4 percent. It also issued preliminary growth figures for Q2 of 1.3 percent, worse than expected. As with the Q1 data, it is likely that future revisions will show that Q2 did even worse. What conclusions can one draw from this miserable economic data? Two things come to mind. In the first place, any preliminary numbers on the U.S. economy that derive from official government sources are highly suspect, and likely to be overly optimistic. Secondly, after an unprecedented level of public debt that is leading America towards fiscal ruin, the best that can be accomplished by the Washington policymakers is a Japanese-style “L” shaped recession. Now, what happens to the U.S. economy when the pump-priming stops, as will inevitably happen? 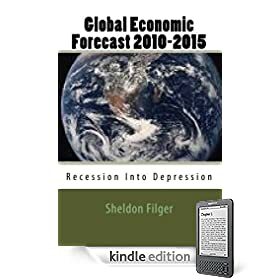 With revenue at historic lows and public expenditures at unprecedented highs as a proportion of the national economy, the frail American economic edifice is floating on an ocean of unsustainable debt. 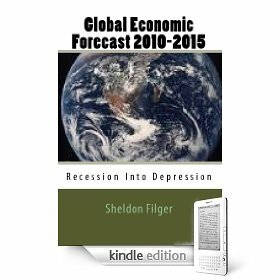 While the current fiscal trajectory of the United States is headed towards a calamitous train wreck, a self-imposed and immediate elimination of the deficit, or even talk of such a possibility, will further exacerbate the economic crisis that never ended in America, despite official pronouncements. In the meantime, the U.S. political establishment cheerfully debates the debt ceiling. Both sides of the argument are in denial. The bottom line that both Republicans and Democrats refuse to confront is that the authorship of the present economic and fiscal crisis is bipartisan. The only hope of avoiding a full-fledged American sovereign debt crisis and its apocalyptic ramifications is creating a path towards much higher levels of growth that will reduce the ratio of debt to GDP to levels that can be sustained into the future. Instead of a serious policy debate, however, both parties are engaged in an ideological debate on cloud nine, divorced from the miserable reality of an American economy that is imploding. If this is not an indication of dysfunction in Washington, I don’t know what is. Maybe the policymakers are not worried because they know that Fed Chairman Ben Bernanke will soon ramp up his printing press again. I am more inclined towards the vision of Dante than Bernanke, when it comes to the future of the U.S. economy. Ground zero of the global financial and economic crisis of 2008, the collapse of the U.S. residential housing market, remains in critical condition. Despite trillions of dollars in public debt utilized as a backstop for the mortgage industry and gimmicks like tax credits for new home purchasers, the stream of date shows that the overarching trend in the United States is continuing home price deflation, as a rising proportion of outstanding mortgages are under water. One recent survey indicates that in January of this year 27 percent of all American mortgages were under water (balance of mortgage exceeds market value of home),compared with 20 percent in August 2010. The National Association of Realtors Pending Home Sales Index most recently has tracked downward movement on home sales, and prices in most parts of the United States continue to decline. With a weak housing market in the U.S. seemingly immune to massive injections of borrowed public money, no wonder Fed Chairman Ben Bernanke is printing money like a crazy man on LSD. His most recent bout of quantitative easing does not seem to have stimulated the domestic housing market at all, though it has pumped up the Dow Jones index to absurd ratios of price to earnings. However, as 2008 demonstrated the centrality of housing to the U.S. economy and not its hyperbolic stock market, the continuing weakness in this core sector does not bode well for a sustained recovery, both in America and throughout the global economy. 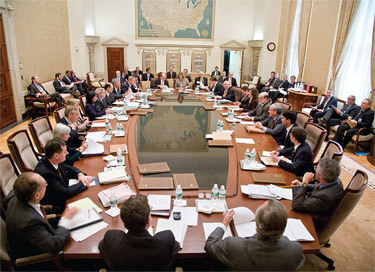 In a step that will be one of the markers on the road to economic and financial catastrophe, the Federal Open Market Committee (otherwise known as the FOMC) of the Federal Reserve, made a bombshell policy decision on August 10, 2010, one fraught with dangerous long-term consequences for the American and global economy. In a policy being dubbed QE2, the Federal Reserve’s FOMC conceded that the so-called U.S. economic recovery has “slowed,” and required more stimulus from the Fed. However, with federal funds interest rates now effectively at zero, the only aspect of monetary policy left is money printing. Thus, the Federal Reserve, in effect, will use its printing press to buy long-term U.S. government debt. 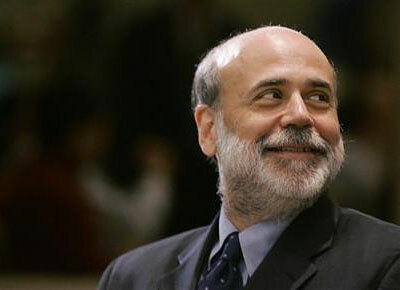 In its first bout of heavy quantitative easing, in the wake of the implosion of the major Wall Street investment banks in the fall of 2008, Ben Bernanke, utilizing his printing press, purchased $1.25 trillion in mortgage-backed securities, and an additional $200 billion in debts owed by so-called government-sponsored enterprises, primarily Freddie Mac and Fannie Mae. This massive explosion in the Fed’s balance sheet has thus far failed to stimulate economic activity and retard a persistent deflationary recession. All that Bernanke has accomplished has been to create a new asset bubble, this time on Wall Street, with equities exploding in price far beyond their post-crisis lows. Beyond the Dow Jones index, however, the impact of Bernanke’s balance sheet expansion has been impotent in the face of economic realities, particularly a collapsing labor market and the contraction in consumer demand. The erosion in the M3 money supply, a statistic the Federal Reserve no longer publicly discloses, attests to the failure of its policies. Now that the Federal Reserve admits, though in its typically obscure linguistic constructs, that a double-dip recession is becoming increasingly likely, Bernanke is going to enter a buying binge of long-term U.S. Treasuries. The hope is that this will stabilize financial markets, and somehow force liquidity into the economy. That, at least is the hope. Given Ben Bernanke’s track record, I would not bank on hope in the infallible judgement of the Federal Reserve and its FOMC. What is likely to result from the QE2 phase of the Federal Reserve’s disastrous policymaking? In time, sovereign wealth funds will recognize Bernanke’s manoeuvre for what it is: monetization of the U.S. national debt. When that happens, Treasury auctions will begin to fail, and yields will advance. This will all put added pressure on the Fed to print even more dollars, and monetize an increasing proportion of the federal government’s debt. This will unquestionably inject liquidity into the U.S. economy. But this Federal Reserve monetary injection will be as beneficial as money printing was in Weimar Germany in the early1920s, or Zimbabwe more recently.